For those of you following the posts closely – aren’t you all? 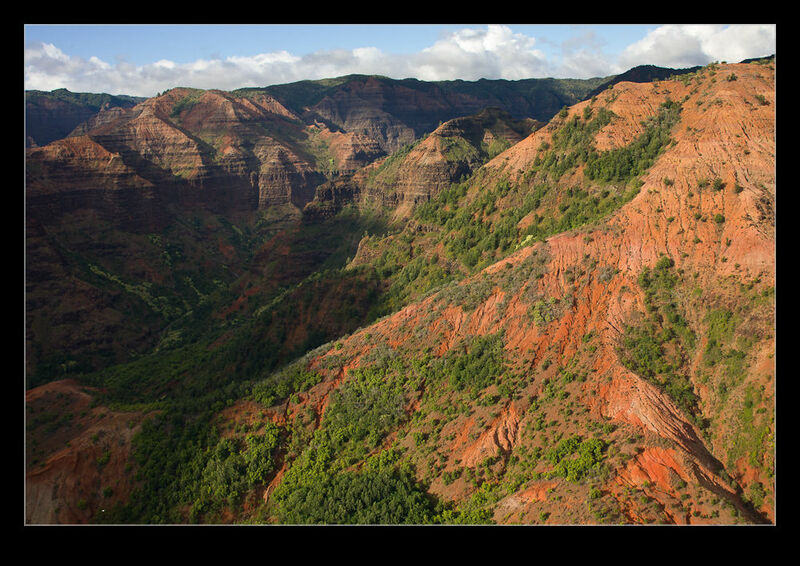 – I previously reported on Waimea Canyon as seen from the ground, sometimes while wearing disintegrating hiking boots! I also mentioned that we were going back in a slightly faster form of transportation. 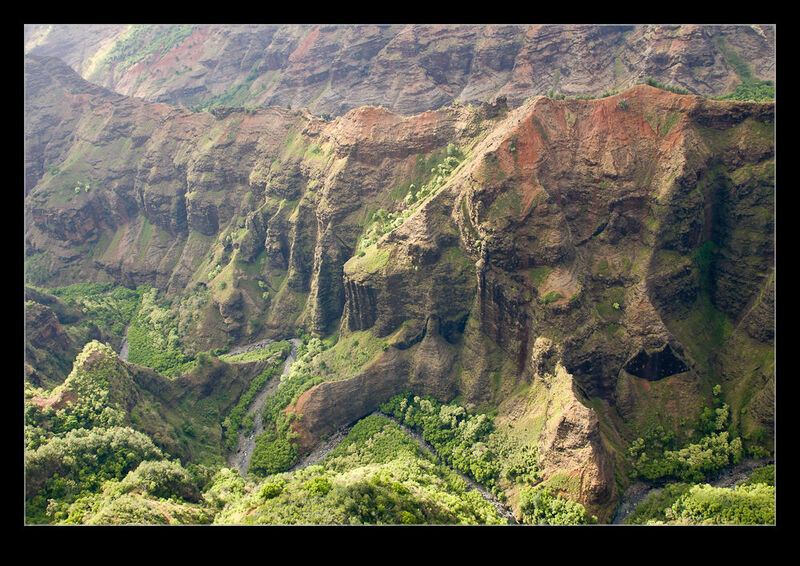 I have posted already about the article I was writing about Mauna Loa Helicopters, the company that we were using for our trip. I won’t duplicate much from the article – if you are interested, you can still see that piece here. 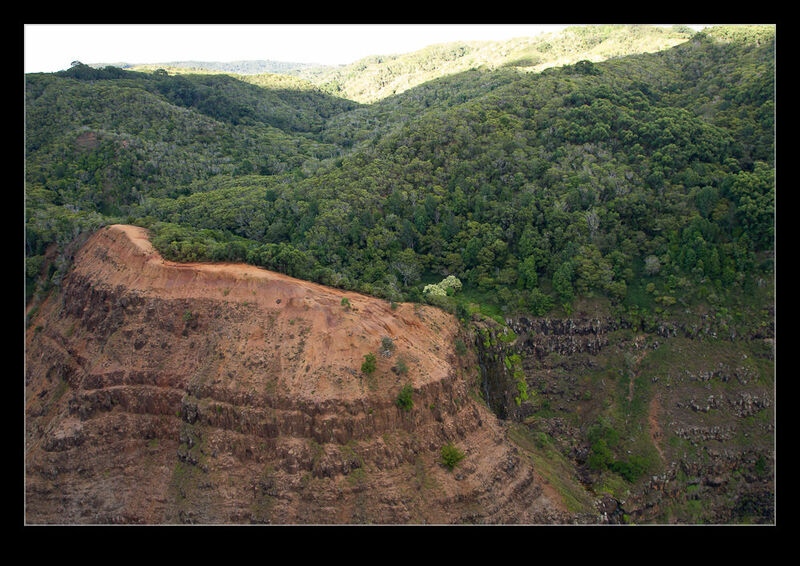 Instead, I will just give you a selection of shots taken from the helicopter. 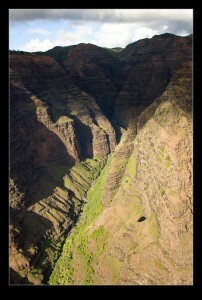 We flew across the canyon later in the afternoon so the light was lower and a lot more attractive. That time of day is also a time when clouds can start to build up so we did get some cloud cover as we flew in. However, that did not detract in any way from how amazing the place looked. 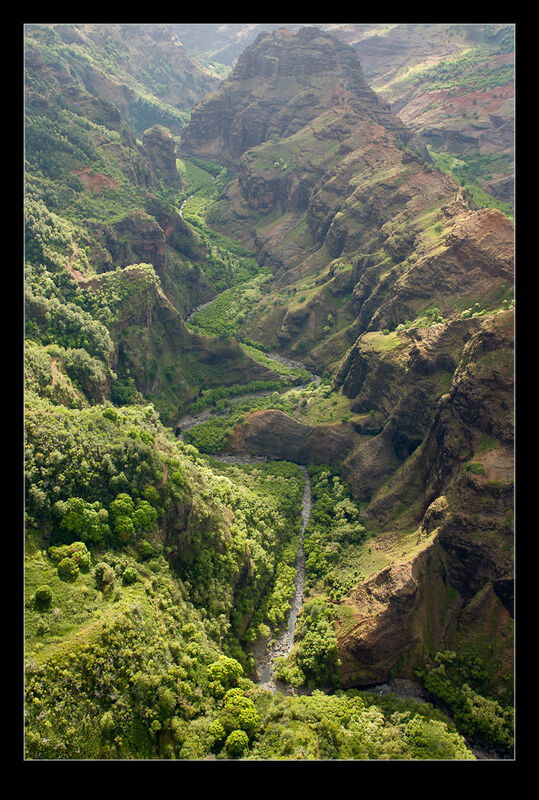 Sometimes high overlooks provide a vantage point that doesn’t look too dissimilar from the view from a helicopter when you are flying in the canyon. 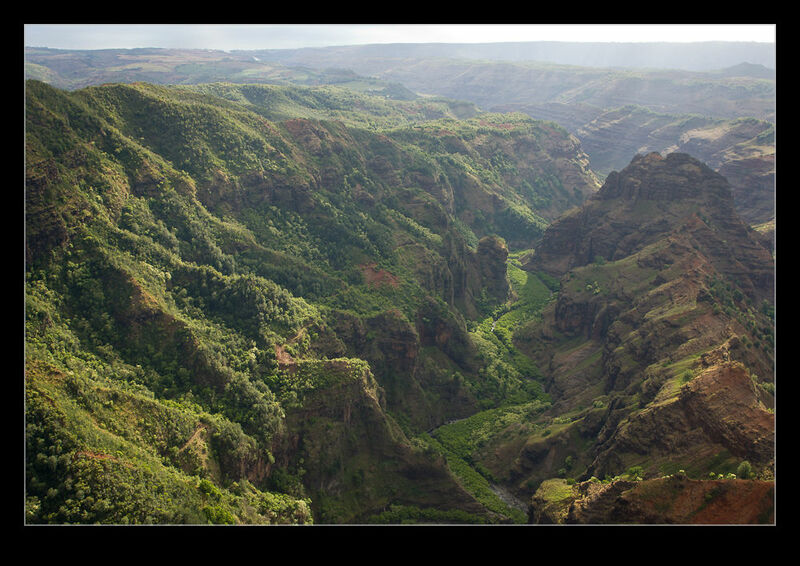 However, I can assure you that the variety of views and the sights that are inaccessible from the road are one of the things that makes the flight so worthwhile. Having no doors only enhances the experience (and the photography!). We spotted a number of locations we had seen previously. The rocky outcrop we came out onto was one we could see and the full falls that we had been near the top of were so much more impressive from this angle. If money and time were no object, I would try this trip a number of times and at different times of day. There must be an ever changing variety of effects to see given the chance! 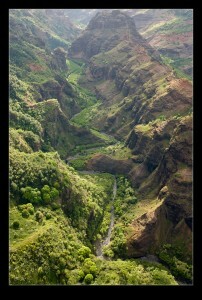 This entry was posted in photo, Travel and tagged aerial, canyon, Hawaii, Kauai, photo, waimea. Bookmark the permalink.